Easy Christmas Tree Treats Recipe! 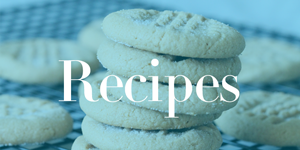 Home / Savings Blog Posts / Holidays / Christmas Recipes / Easy Christmas Tree Rice Krispies Treats Recipe! Easy Christmas Tree Rice Krispies Treats Recipe! I’m loving this Easy Christmas Tree Treats Recipe for all of your Holiday Parties and Christmas Parties at School! Get this Easy Christmas Tree Treats Recipe now and have a blast with your kids making this fun Holiday Dessert Recipe! Plus, be sure to check out even more Christmas Recipes and Crafts! Plus, be sure to check out all of the Holiday Baking Supplies at Amazon! Pick up this Wilton Christmas Cookie Cutter Set for only $11.12! Receive Free Shipping with Amazon Prime, or Free Super Saver Shipping on orders of $35 or more! Also, be sure to check out this Easy Chocolate Donuts Recipe with Peppermint Glaze for a Christmas Breakfast Recipe or Christmas Dessert Recipe!